Hey guys, Brad from Gamecritics here. You know I'm a fan of the show, but I have to say that I was pretty disappointed with this Tomb Raider episode. One thing I felt was missing was any talk of your personal experience with previous installments in the series. You guys called out the way the game is essentially a better-playing version of Uncharted (which I totally agree with) but you didn't talk about how far it strays from the original formula. As a long-time fan of the series, I felt like it was too much of a departure and lost sight of what made the games what they were. I was also very surprised at how quickly the extreme level of violence was dismissed in the discussion. Scott, you brought it up a couple of times but I felt like you could have taken it further. Jorge, you handwaved any concerns away, and as someone who thought the level of violence was excessive and inappropriate for the series, I really thought that you were glossing over something that deserved deeper examination. It was quite clear that you like the game (and that's fine) but I come to you guys for some of the smartest discussion on the Internet, and it felt like you enjoyed it too much to raise any significant criticism of it. After all, the climate of acceptable violence in videogames, and violence as the primary means of interaction in them is slowly changing, and as people who look at games critically, I think we owe it to ourselves and to the rest of the industry to be able to look at something for the enjoyable experience that it offers (killing dudes is fun!) but also to examine the quality of the, how much of it there is, and the role that it plays. In TR specifically, the game used to be about environmental puzzle-solving and exploration. Now it's about killing several hundred guys with micro-scale raiding of tombs relegated to being optional activities. That's a huge shift, and I really don't hear a lot of people raising concern about it. I also have to say (and this is not exclusive to you guys) that I found the "growth and development" of Lara to be kind of a joke. It's like the PR materials used that line, and most of the Internet ran with it without really stopping to think about its validity. However, I was glad to hear Scott when he brought up the ludicrously short span of time between Lara cringing at killing a deer when she's starving before beginning her campaign to ruthlessly headshot and execute the enemies of the island. However, I felt like this significant portion of the game should have been hit harder and less allowance should be made - are we so desperate for any shred of decent writing that we'll take this ridiculous B-movie arc and celebrate it? Sorry to be so harsh, but I really respect the level of discourse that you guys bring and I enjoy every single episode. I don't always agree, but it's very rare when I walk away from the show and feel like you guys were really off-target, which is probably why this one stuck out so much for me. It's great that there was clearly some appreciation of the title, but there were some really obvious issues I was waiting to hear you guys dig into, and it just never happened. would love to hear your further thoughts on it. Great podcast as always, guys. Always a treat. 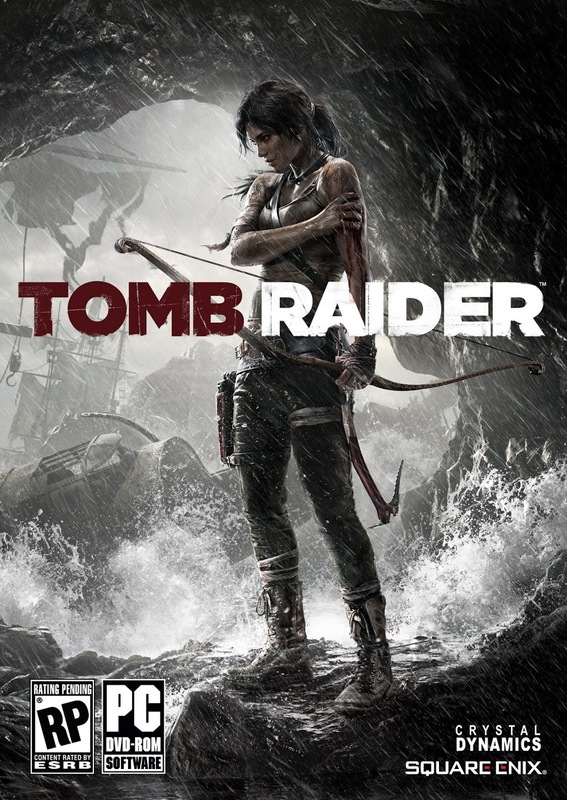 I really don't have much to say about Tomb Raider - it's a fine game, but one I'm already forgetting. The one good thing about it, for me at least, is that I have always felt a bit guilty about not playing Uncharted. I couldn't justify getting a console for the few console-exclusive games I want to play, but I always felt like I was missing on at least a small part of the current gaming zeitgeist. But now I feel like Tomb Raider scratched that itch, so I can gleefully move onto the next mind-bending platformer and forget all about cinematic QTE-heavy action adventures... for a while. Hey Brad! Super late comment here, but I wanted to do it anyway. Similar to Jorge, my knowledge of Tomb Raider is actually pretty shallow. I vaguely remember playing one of the original 3 games, but couldn't for the life of me say which one. I do remember it came in a big, weirdly-shaped PC box. Anyway, as for the violence: my takeaway is that it is extreme, but ultimately hollow. Why does the game go to such great lengths to show Lara being violently killed? Because the deaths don't actually mean anything: there's no mechanical penalty or narrative payoff, so it's just a way to shock us into caring. At least the violence in BioShock infinite has an argument behind it (even if it's a simplistic one like "you can blast your way out of problems). As for Lara's narrative, I think it's also a casualty of the huge rift between the in-game and cutscene action. I think the dialogue and the plot development in the cinematics is actually well done, it's just absurd when juxtaposed against what you're doing in the game. The annoying thing is, I feel like this could have been a solvable problem: just have fewer extreme gunfights. I wrote about the issue of "survival" at PopMatters as well: http://www.popmatters.com/pm/post/170545-/ Basically, the game has to fight itself every step of the way because the mechanics and plot are telling two different stories. It's always interesting to do a podcast or write a review of a particular game, because it's a snap shot of your opinions at the time you're making the comments. For example, I liked Dishonored when I first played it, but I now think it was one of the best games of the last few years. In the case of Tomb Raider, my opinion has gone the other direction: I had an ok time playing it, but the things that have stuck with me all involve how dissonant pointlessly violent, and repetitive the whole thing was. Finally, I think my initial opinion was colored by the fact that I was ready to actively dislike this game. These new third-person shooters/faux-platformers like Uncharted aren't really my thing, and I was pretty fed up with the borderline sexist marketing campaign. When I finally experienced the actual game, an unexpectedly neutral experience was a pleasant surprise. Although I did enjoy this latest Tomb Raider game, I think Ian and I were a little less forgiving of it. In addition to the various issues you raise in the podcast, one of the biggest things that we found super distracting (and have been quite surprised that this hasn’t come up more in reviews, including your discussion of it) is how much its plot was like the TV show Lost: A ragtag ethnically diverse group, stranded on a mysterious island that won’t let them leave, with a scary group of “others” trying to capture and kill them. Agreed. Tomb Raider is definitely fading fast in my mind. On the bright side you saved yourself hundreds of dollars and dozens of hours by playing the best version of the "cinematic QTE-heavy action adventure" extravaganzas!